ABBA was a Swedish pop band made up of Agnetha Fältskog, Bjorn Ulvaeus, Benny Andersson and Anni-Frid Lyngstad. Formation: ABBA first began when Benny Andersson of The Hep Stars and Björn Ulvaeus of The Hootenanny Singers collaborated on an album in 1970. 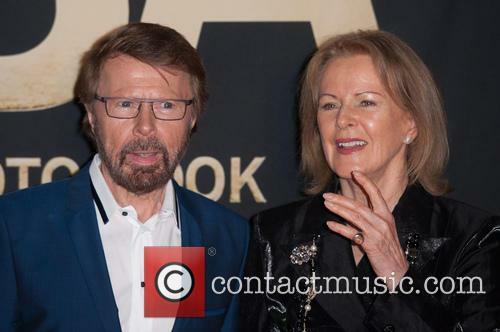 Ulvaeus then married singer Agnetha Faltskog who also collaborated with the pair, and the line-up was completed when Anni-Frid 'Frida' Lyngstad met Andersson at Melodifestivalen and they began dating. The name ABBA is an acronym of the band members' first names (Agnetha, Benny, Bjorn and Anni-Frid). Before they were officially formed, they played their first live performance on holiday in Cyprus in front of some United Nations soldiers. There first hit was 'Hej, gamle man' though it was credited only to Björn & Benny. Musical career: ABBA released their debut album 'Ring Ring' in 1973 and it reached number 2 in the Swedish charts - the only album not to reach number one. They attempted to enter Melodifestivalen with the title single, but failed to qualify. The following year, they won the Eurovision Song Contest with their single 'Waterloo' which became a UK number one chart hit. Their follow-up single 'Honey Honey' was not as successful, and neither was their subsequent European tour during which some dates had to be cancelled due to lack of demand. They were, however, warmly welcomed in Scandinavia. In 1975, their self-titled album and single 'SOS' brought them more UK recognition with the album reaching number 13 and the single reaching number 6. Their later single, 'Mamma Mia', reached number one. They gained popularity in Australia when the videos for 'I Do, I Do, I Do, I Do, I Do' and 'Mamma Mia' were played on the music show 'Countdown'. In 1976, they reached number 1 in the UK charts with their first compilation album 'Greatest Hits'. On it was a new single, 'Fernando', which topped the charts in 13 countries, sold 10 million copies and tied with The Beatles' 'Hey Jude' for longest-running number one in Australia. That year they released their fourth album 'Arrival' - another number one which garnered much attention from rock based publications. It produced the hits 'Money, Money, Money', 'Knowing Me, Knowing You' and 'Dancing Queen which became their biggest selling single topping the charts across the world. In 1977, they were nominated for a BRIT Award for 'Best International Album of the Year'. In 1977, they embarked on a major Europe and Australia tour which attracted much media attention and for which the box office received 3.5 million ticket requests for their Royal Albert Hall gig which would've been enough people to fill the venue 580 times. 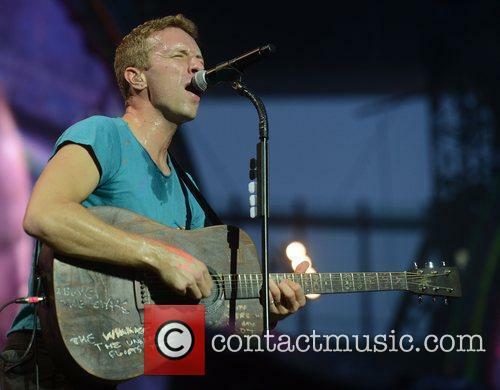 They played a gig at Sydney Showground in spite of a downpour of rain which caused Lyngstad to slip on stage. 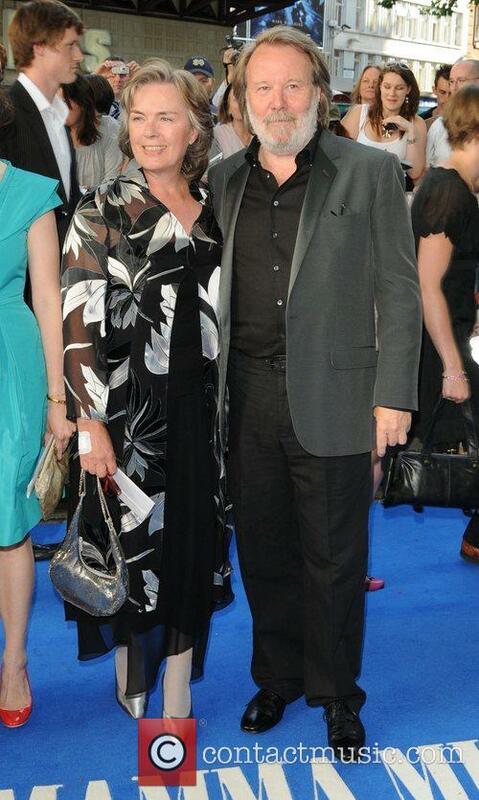 Later that year, the film 'ABBA: The Movie' was released directed by Lasse Hallstrom. They also released their fifth album 'ABBA: The Album'; another UK number one which included the hits 'The Name of the Game' and 'Take a Chance on Me'. In 1978, they converted a movie theatre into Polar Music Studio and performed with Andy Gibb on Olivia Newton-John's TV show in America. The following year, they performed 'Chiquitita' at the Music for UNICEF Concert and subsequently donated the single's copyright to the charity. 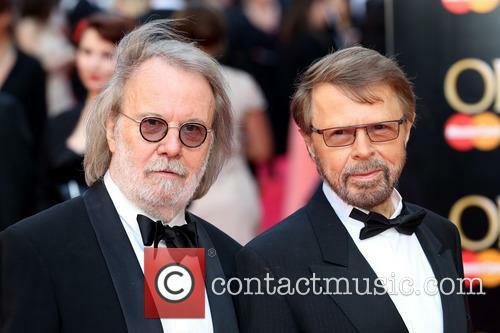 That year, Ulvaeus and Fältskog announced their divorce but they insisted that it wouldn't affect the group. The released the album 'Voulez-Vous' which included the songs 'Does Your Mother Know' and 'Angeleyes'. They also released 'Greatest Hits Vol. 2' debuting new single 'Gimme! Gimme! Gimme! (A Man After Midnight) ahead of their North American and Europe tour. In 1980, they released the single 'The Winner Takes It All' which was speculated to be about Ulvaeus and Fältskog's divorce, though Ulvaeus has strongly denied this. Their final UK chart-topping single was the title track from their seventh album 'Super Trouper'. In 1981, Ulvaeus married Lena Källersjö while Andersson and Lyngstad announced their divorced, after which Andersson married Mona Nörklit. The band also released their final album 'The Visitors' which was not as commercial successful as their previous works. They never officially split up, but they made their last performance together on 'The Late, Late Breakfast Show' in 1982. 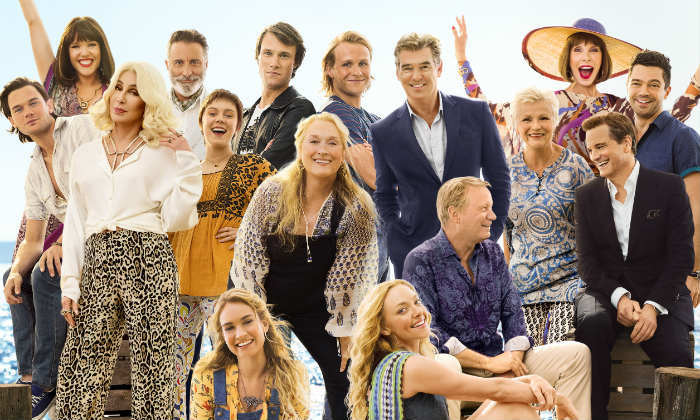 ABBA have been revived in several movies including 'The Adventures of Priscilla, Queen of the Desert' and 'Muriel's Wedding' in 1994 and the 2008 box office musical hit 'Mamma Mia!' In 2010, they were inducted into the Rock and Roll Hall of Fame. The group have formally reunited in the studio to record two new songs together, with one to be broadcast in December. Reformations and reunions are very in fashion at the moment, but perhaps the most unlikely and highest-profile has happened, with Abba announcing that they’ve recorded their first new music together in over 35 years. 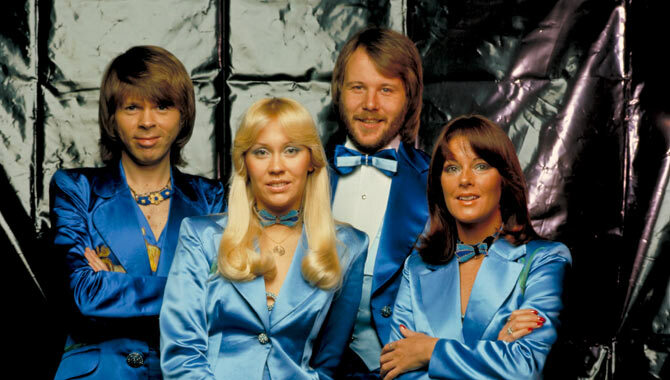 The legendary Swedish quartet, comprised of Agnetha Fältskog, Björn Ulvaeus, Benny Andersson, and Anni-Frid Lyngstad, broke up in 1982, shortly after the release of their eight album The Visitors. Together, they notched a total of nine UK chart-toppers in their career, but their split was one of the most acrimonious in pop history. However, the four have been known to have gotten back in contact in recent years on a number of different projects acknowledging the band’s legacy. Today, though, represents something else entirely, with Abba announcing that they have recorded two new songs together. Bjorn Ulvaeus sees his younger self as another man ''from way back'', but admitted he is ''proud'' of what he has achieved over his career. 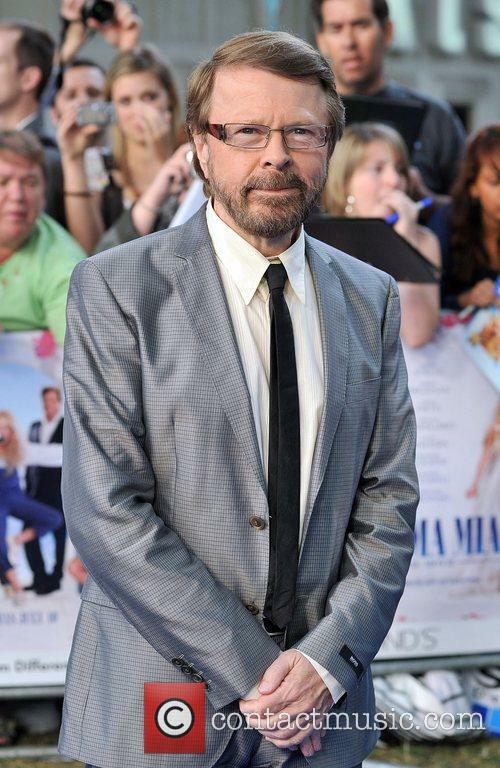 Abba star BJORN ULVAEUS has admitted he is ''proud'' of what his younger self achieved in the band. The 'Waterloo' hitmaker is honoured to have been in the band, which split 35 years ago, and he has credited his time in the group for getting him to where he is today. 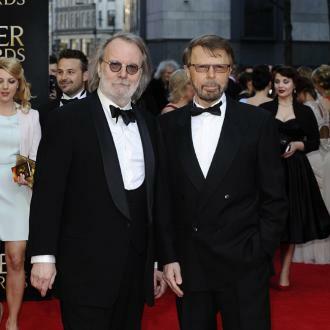 Speaking to The Guardian newspaper, Ulvaeus said: ''He seemed to be that] other guy, from way back when. ABBA to return with a digital live experience. In probably one of the most vague reunion announcements in history, best-selling Swedish band Abba revealed that they are planning a live digital experience with the help of 'American Idol' creator Simon Fuller. However, we've no idea if this means they'll actually perform on stage together again. What's ABBA's live experience all about? ABBA and Simon Fuller will be partnering with Universal Music Group for an innovative new 'virtual' show, more than 30 years since their last gig as a band - not including their impromptu performance of 'The Way Old Friends Do' which took place at a 50th anniversary private party in June this year. 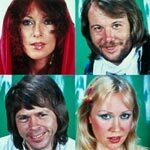 Continue reading: What Is This Mysterious 'Virtual Reality' Show ABBA Are Planning? More details of the exciting new project, said to be based on virtual reality technology, will be revealed in 2017. All four members of Abba are set to reunite for the purposes of a new digital entertainment project, more details of which will be revealed in 2017. The Swedish pop legends have not officially performed together on the same stage in three decades, although they did all appear at a 50th anniversary private gala event for the band in Stockholm, back in June this year. It has been 40 years since a virtually unknown Swedish foursome changed the music world forever, by winning the 1974 Eurovision Song Contest. In 1974 the virtually unknown foursome got on a Brighton stage to compete for their home nation of Sweden in the Eurovision Song Contest, and they left victorious after performing their now famed track 'Waterloo'. Abba singer Agneta Faltskog is staging a pop comeback, at the age of 62. In May, the Swedish singer will release a new album entitled simply ‘A.’ The news has fuelled speculation that we may have an ABBA reunion on our hands but right now, it’s all about Agneta. “Never thought that I’d ever sing again. But hearing the first three songs, I just couldn’t say no!” said Faltskog, in a statement. "I hadn’t written any music for a long, long time,” she explained. “But I sat at the piano, and suddenly it was there."